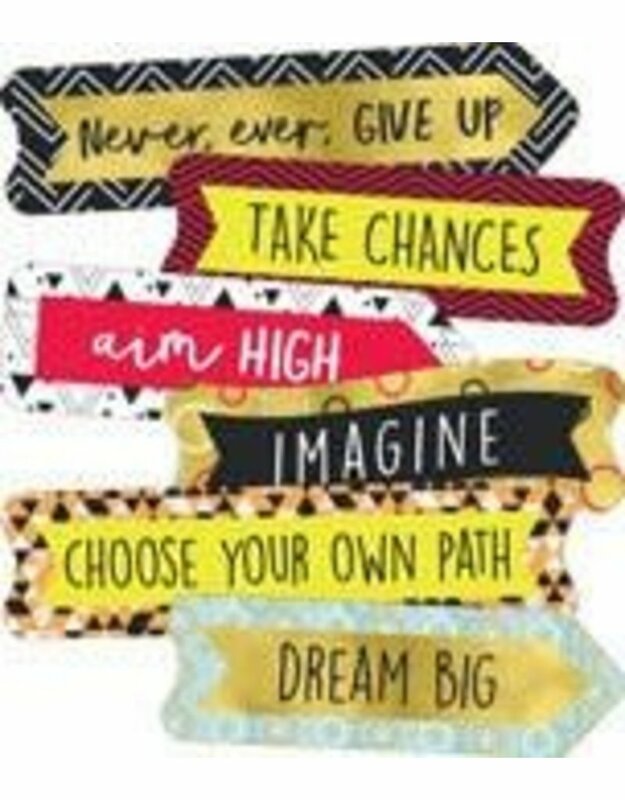 Durable and versatile, the Aim High Banners assorted mini Colorful Cut-Outs (R) are perfect to use in various ways in the classroom. This pack includes:-30 motivational banners-26 blank bannersUse these 56 cut-outs to create labels, play games, and more. --Whether you’re adding style to bulletin board sets or creating reward cards, Carson-Dellosa’s mini Colorful Cut-Outs are the ideal addition. Be sure to browse coordinating Aim High classroom décor to create a cohesive theme.